Each pair of earrings is created in my home studio and kiln fired. Please note, You are not ordering the pair of earrings in the photograph. Each pair will be unique and similar but not an exact match. 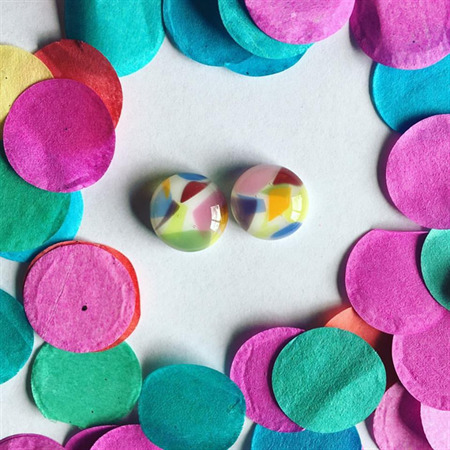 Each piece of confetti is hand placed making each pair one of a kind. Earrings will be posted 3-5 days after purchase as they are made to order.